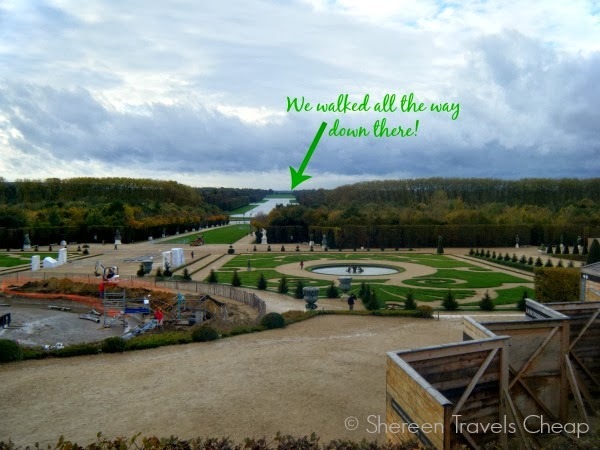 On our last day in France, we packed our day with some interesting things, including taking the RER out to the city of Versailles to see the infamous "chateau" where Marie Antoinette and other French royals once called home. 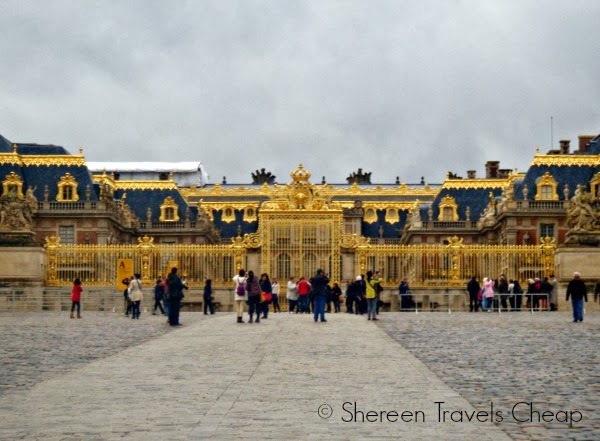 Most don't know that the palace began as a small hunting lodge and was expanded enormously by Louis XIV, the Kardashian of his time. He used his excessive wealth to create the biggest and most lavish dwelling he could, causing the people of France to dispose him. A few rooms were good, but 100 would be better! 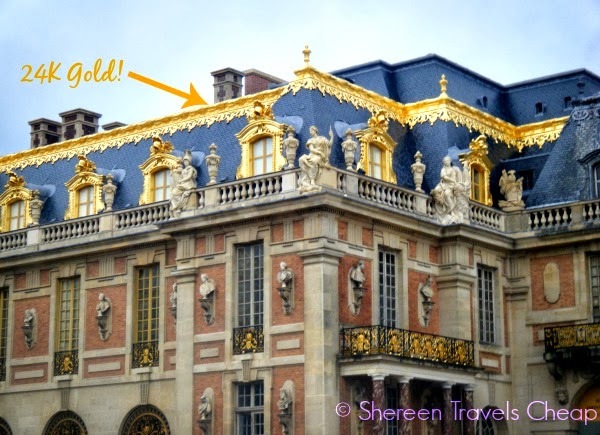 Giant gates and ironwork are nice, but covering them in real gold was totally awesome. 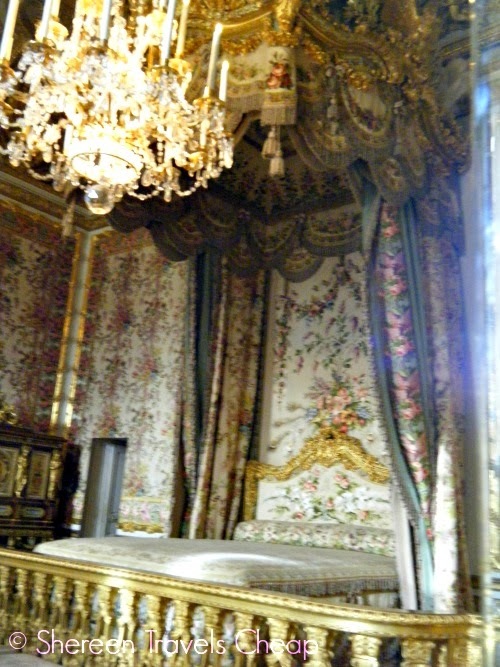 By the time Louis XV and Marie Antoinette moved in, there was almost nothing left to "improve" on. People have a bad opinion of Marie Antoinette, but walking from room to room, I had to admit, it probably wasn't entirely her fault. 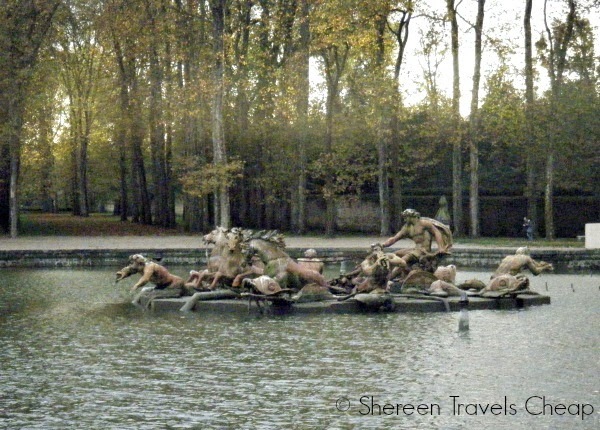 She was cut off from everyone she knew and her only friends lived at Versailles with her. If you spend every minute of your day inside what can only be viewed as a small city and never leave the grounds, you have no idea what it's like in the real world or see how the common people live. Eventually, you just assume everyone lives so luxuriously and can't imagine why people would riot against you. 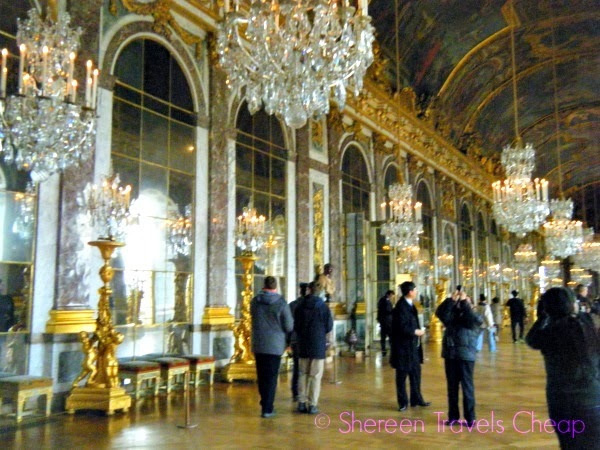 Each room is just as decadent as the next and the grounds, even though they were being worked on during our visit, were sure to be even more amazing in their heyday. Here are some photos of our visit. 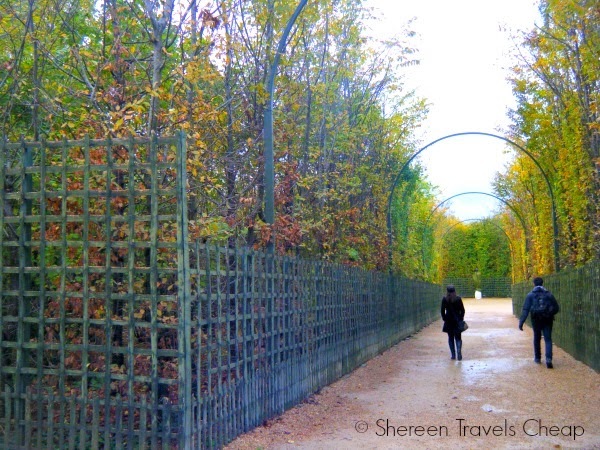 The grounds of Versailles are huge and we didn't even see all of them in the few hours we were there. 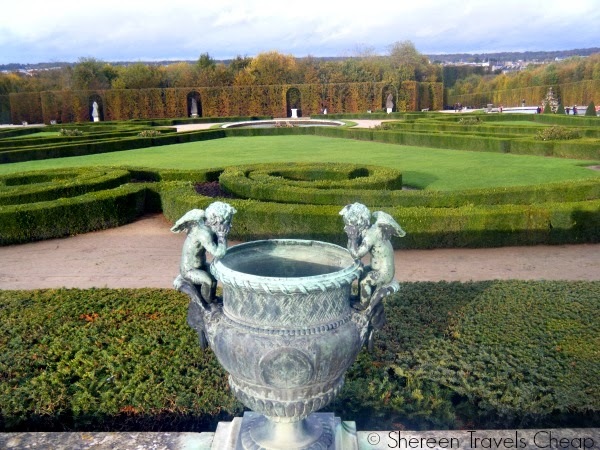 During the warmer months, you'll be able to see all the fountains working and every statue in the gardens. There's also a place within the garden maze that sells snacks and beverages, as well as a restaurant on site and several gift shops. 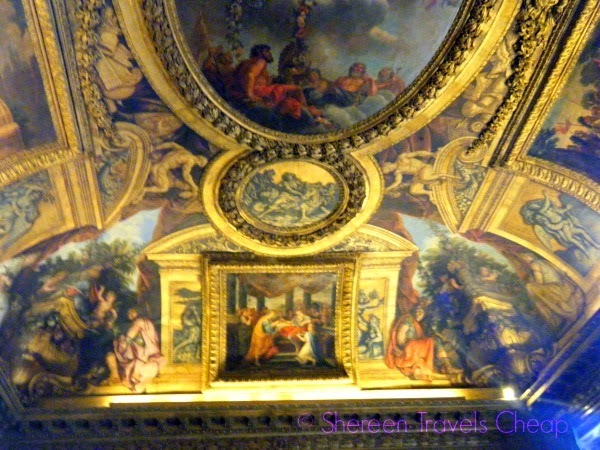 it's really a great place to visit and the entry fee is quite reasonable considering the opulence within. Be prepared to have your bags (and possibly your person) searched before entering. Versailles is highly secure. From the photos, you can see why. 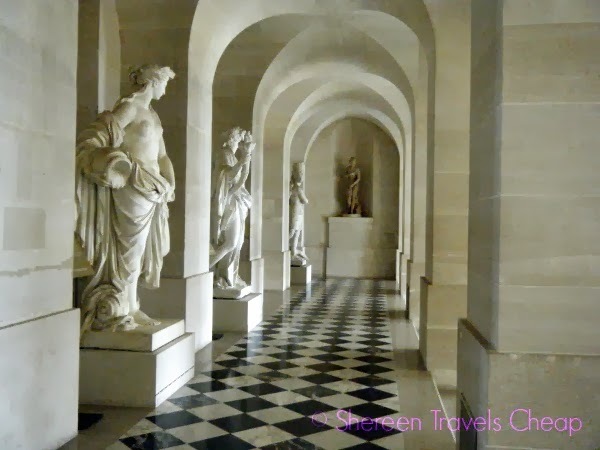 Have you ever been to Chateau de Versailles? What are your favorite mansions/palaces/castles?